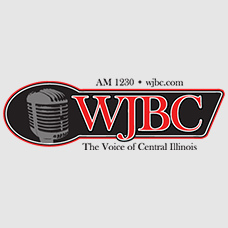 WJBC Voices: Mutual buyer’s remorse? Buyer’s remorse applies to politics as well as consumer transactions. Possible application: Governor-elect J.B. “No Neck” Pritzker. By election day, we knew less about what he intended to do than any gubernatorial candidate in my memory. When you spend $171.5 million of your own money on campaign ads and yet most people don’t know much more about you than that you’re filthy rich, you walk your kids to school, make breakfast and tell bad jokes, and you want a progressive income tax, there is willful non-disclosure going on. Some agenda disclosure came on Election Night when he talked about universal health care, tuition assistance, universal free pre-K and other progressive programs. Some of those who voted for him might be enthusiastic about his plans, but I suspect he got a lot of his votes from people who only wanted to stop the partisan bickering in Illinois and voted for him because he was the “Un-Rauner” . We haven’t seen any estimates of the costs of any of No Neck’s proposals, but my gut tells me that Illinois and its increasingly diminished number of taxpayers couldn’t afford them, even if the state were solvent, which it is not. While these proposals are being fleshed out legislatively, No Neck will start trying to convince voters to vote for a graduated income tax, again with no proposed rates, just an assurance that the rates will be “fair” and force the “rich” to pay their “fair share”. Taxpayers who haven’t gotten over the last massive tax increase will need to tighten their belts and get ready for the next ones that are sure to follow. But buyer’s remorse may not be confined to the voters. No Neck may end up with his own case. In all his eagerness to oust Bruce Rauner, he may have paid insufficient attention to several situations he will have to deal with. There is to begin with, Mike Madigan, who expects to retain his position as the de facto governor. Madigan is not a fired-up progressive; he is an old school politician who aggrandizes himself and the unions who got him elected. It is not clear to what extent Madigan shares No Neck’s egalitarian impulses. Democrat super-majorities in both houses guarantee only that there will be no Republican-Democrat squabbling, not that there will be no squabbling. One fight already appears on the horizon: No Neck has vowed to veto the very type of gerrymandered political map that has kept Madigan in power for 30 years Hr may need to spend some more of his fortune to buy off Representatives whose loyalty was traditionally purchased by Madigan. Then there are the unpaid bills, $7.5 billion worth. Those are just the current delinquent obligations, like overdue rent on buildings occupied by state agencies. Illinois is a deadbeat state. Finally, there are the pension obligations. The state’s obligations are well-known: $135 billion in unfunded debt. But that’s no longer just way-down-the-road debt; the scandalously (except by Illinois standards) underfunded Teachers Retirement System needs nearly $1 billion to meet its current obligations, and four times that amount to make any progress toward actuarial solvency. In addition to the state debt, there will be a lot of pressure applied by Chicago Debtmocrats to bail out the city, which has its own seriously underfunded pensions, about $130 billion according to Moody’s; each Chicagoan’s share of the pension debt is $125,000. Unlike a state, a municipality can go bankrupt, and you can bet that the Chicago politicians won’t let that happen without looking first to the state for a bailout. What a spectacle that would be: the broke bailing out the broke. With the size of his personal fortune, No Neck has little experience with insolvency. His introduction to it is coming soon. He just bought himself a very expensive job as Captain of the Titanic.